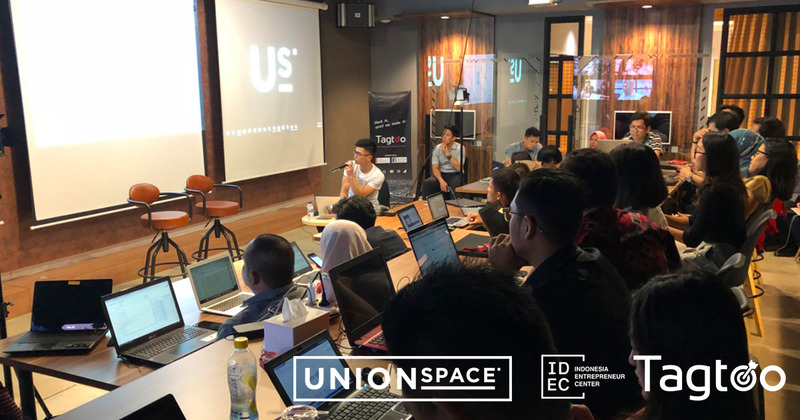 Tagtoo will have more workshops coming up with UnionSpace to help startup founders and marketers learn the latest digital marketing strategy. Launching off the first ever digital marketing workshop in the middle of July, Taiwan-based performance marketing agency Tagtoo collaborated with UnionSpace, a leading regional co-working space across Southeast Asia, to help Indonesian entrepreneurs and startups founders have a deeper understanding of business analytics and online advertising. This workshop is also co-organized by Indonesia Entrepreneur Center (IDEC), an initiative to create an entrepreneur community to support and encourage the growth of entrepreneurship in Indonesia. While all tickets were sold out in 10 days, there were more participants than planned attending the workshop as walk-ins. According to one of the attendees, he decided to take one day off right after knowing there would be a digital marketing workshop coming up that afternoon in the morning. Undoubtedly, this represents Indonesian’s tremendous desire to educate themselves and the huge eagerness for digital marketing strategy. In spite of being a powerful data tracking tool for every internet business, the entry barrier of reading Google Analytics report may be too high for beginners. Even some experienced marketers may be unconfident of interpreting the entire Google Analytics reports because some reports are specifically designed for different purposes, such as website configuration optimization and product strength examination. Based on the after-event survey, participants gave an average of 4.6 out of 5 stars when asked if the workshop is helpful for their business. Most importantly, all of the participants indicated they would like to join similar workshops in the coming future. “We feel very thankful for anyone attending our workshop. We’re very humble and honored and will continue work with UnionSpace and IDEC to share more digital marketing knowledge, ”Mick Lu proceeded before ending the interview.